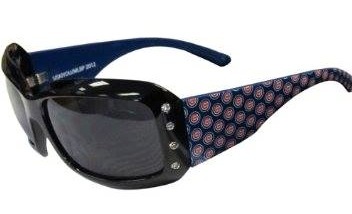 2) A package from the always awesome Snarkela, who surprised me with a pair of my very own, officially MLB-licensed Cubs sunglasses. 3) A summons for jury duty. Yes, it's my patriotic duty and I'm very willing to do it, but I'd be lying if I said I was happy about it. 4) A registered letter. Gulp. It was #4 that had me mixing booze in with my orange juice. I couldn't pick it up until this morning and I had no idea what it could be. None. And, me being me, I was sure it was bad news. From a lawyer. Probably about my mother's estate. Which would precipitate spending money I don't have and dealing with my sisters -- which is always a galling experience. I got to the post office and had to both sign/print my name twice while the mail clerk was holding the letter. I was so agitated that it actually took a modicum of self control to keep me from ripping it from her hands. As I walked away from the counter, I saw it was a letter from a law firm in a far off suburb. Bleh. What could it be? I thought the crap about my mother's house was behind us! Ripping it open I saw my village mentioned in the first line. Condo association drama? I was so nervous and upset, my heart was beating out of my shirt like a Warner Bros. cartoon character. Oh, for pity's sake! Turns out I live within 300 feet of a proposed ATM that's being built to be especially handicap accessible and I have a legal right to "cross examine witnesses about the appearance of the unit." All that worry over a piece of paper that's going to go into the recycling bin as soon as I publish this post! I do this to myself all the time. Will I never learn not to borrow dread?